Girls' basketball • Mariah and Kemery Martin shoot from anywhere while combining to average more than 30 points a game for the Hawks. 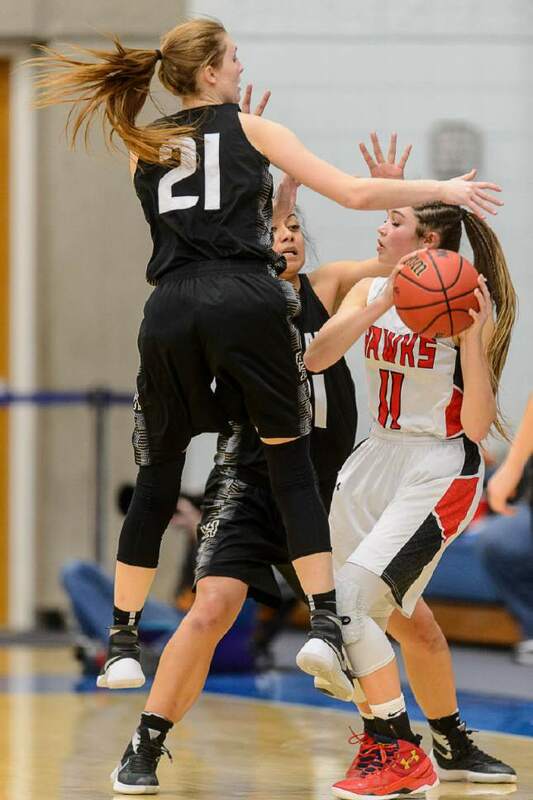 Rick Egan | The Salt Lake Tribune Spanish Fork Dons Cambrie Hazel (24) blocks a shot by Alta Hawks guard Mariah Martin (1) in State Basketball Playoff action, The Alta Hawks vs. The Spanish Fork Dons, in Taylorsville, Monday, February 22, 2016. Leah Hogsten | The Salt Lake Tribune Kemery Martin pauses at center court before starting a play during practice Thursday, February 2, 2017. "We're always on the same side of understanding with each other," said sisters Mariah, 17, and Kemery Martin, 16, two of the leaders on the Alta High School girls' basketball team,Thursday, February 2, 2017. Leah Hogsten | The Salt Lake Tribune Mariah Martin (#1, left) is denied under the net by teammate Kacey Blackner during practice Thursday, February 2, 2017. 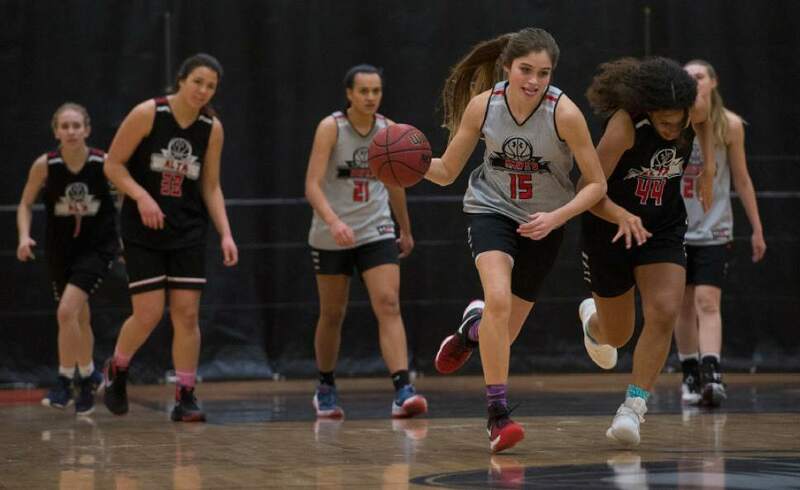 "We're always on the same side of understanding with each other," said sisters Mariah, 17, and Kemery Martin, 16, two of the leaders on the Alta High School girls' basketball team. Leah Hogsten | The Salt Lake Tribune Kemery Martin runs down the court after stealing the ball from her teammates Thursday, February 2, 2017. "We're always on the same side of understanding with each other," said sisters Mariah, 17, and Kemery Martin, 16, two of the leaders on the Alta High School girls' basketball team,Thursday, February 2, 2017. Trent Nelson | The Salt Lake Tribune Alta's Kemery Martin passes the ball around Highland's Finau Tonga (32) as Alta faces Highland in a quarterfinals game at the 4A High School Girls Basketball Tournament at Salt Lake Community College in Taylorsville, Wednesday February 24, 2016. 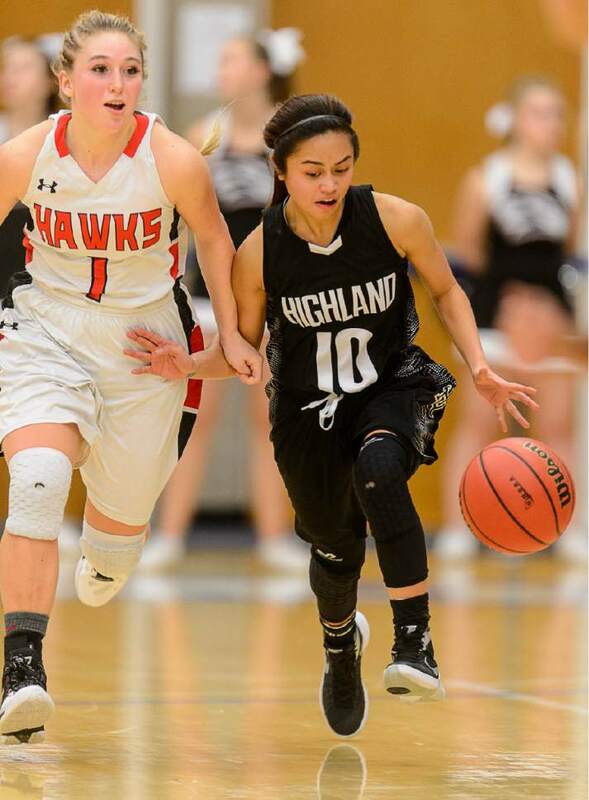 Trent Nelson | The Salt Lake Tribune Highland's Marlee Machon (10) dribbles the ball, defended by Alta's Mariah Martin as Alta faces Highland in a quarterfinals game at the 4A High School Girls Basketball Tournament at Salt Lake Community College in Taylorsville, Wednesday February 24, 2016. Trent Nelson | The Salt Lake Tribune Alta's Kemery Martin is defended by Highland's Alex Debow (21) and Highland's Nani Tonga (31) as Alta faces Highland in a quarterfinals game at the 4A High School Girls Basketball Tournament at Salt Lake Community College in Taylorsville, Wednesday February 24, 2016. 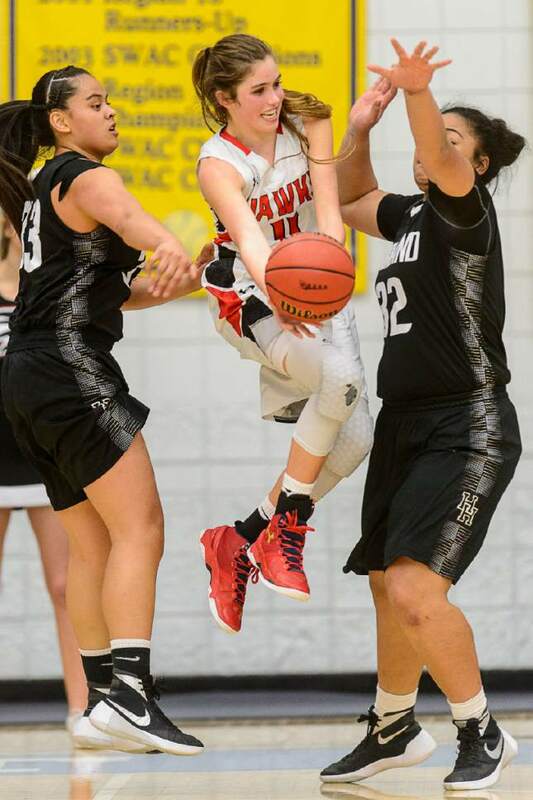 Trent Nelson | The Salt Lake Tribune Alta's Kemery Martin is defended by Highland's Alex Debow (21) and Highland's Nani Tonga (31) as Alta faces Highland in a quarterfinals game at the 4A High School Girls Basketball Tournament at Salt Lake Community College in Taylorsville, Wednesday February 24, 2016. 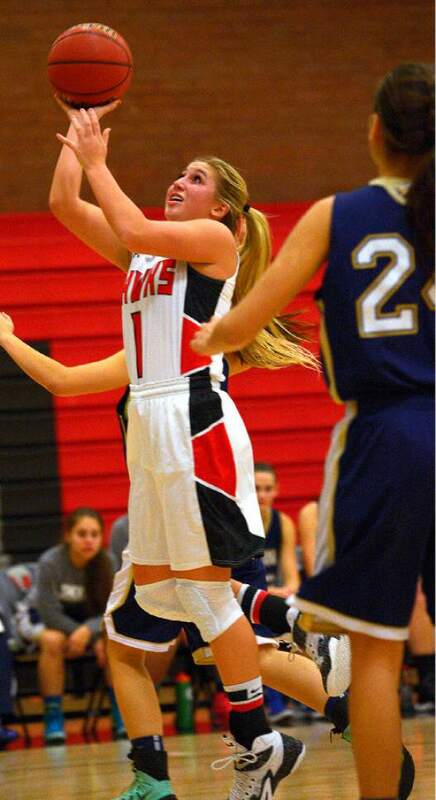 Leah Hogsten | The Salt Lake Tribune Alta's Mariah Martin. Alta High School girls basketball team defeated Skyline High School, 47-41, Tuesday, December 16, 2014 at Alta. Leah Hogsten | The Salt Lake Tribune Alta's Mariah Martin. Alta High School girls basketball team defeated Skyline High School, 47-41, Tuesday, December 16, 2014 at Alta. Leah Hogsten | The Salt Lake Tribune Alta's Mariah Martin gets the steal for two. 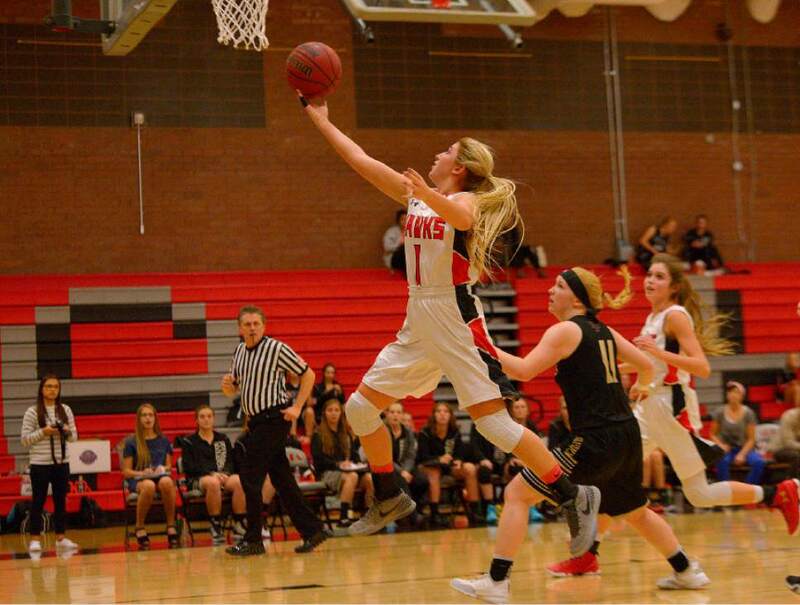 Alta High School girls basketball defeated Lone Peak High School, 79-47 Tuesday, December 8, 2015. 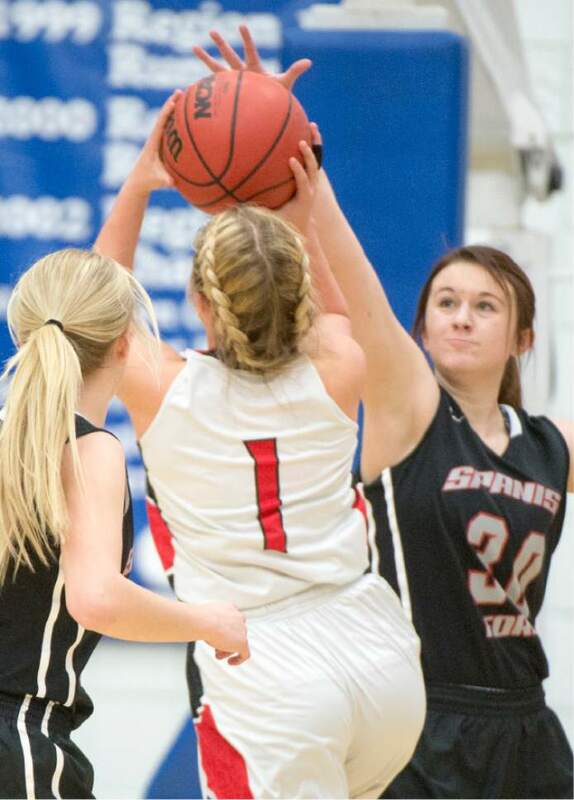 Leah Hogsten | The Salt Lake Tribune Alta's Mariah Martin gets the steal for two. Alta High School girls basketball defeated Lone Peak High School, 79-47 Tuesday, December 8, 2015. 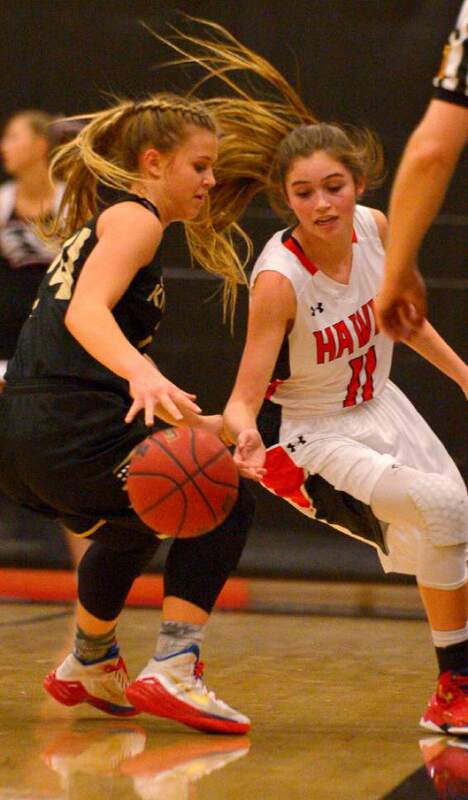 Leah Hogsten | The Salt Lake Tribune Lone Peak's Brooke Peterson and Alta's Kemery Martin fight for a loose ball. 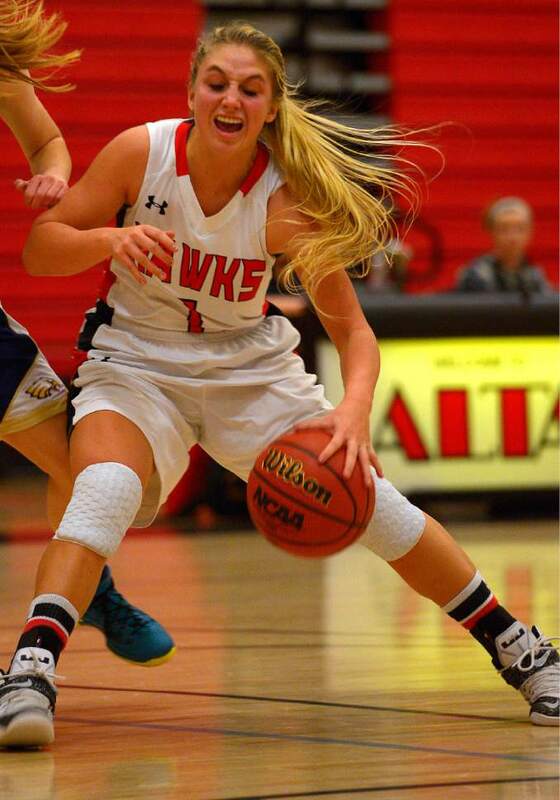 Alta High School girls basketball defeated Lone Peak High School, 79-47 Tuesday, December 8, 2015. Leah Hogsten | The Salt Lake Tribune Lone Peak's Brooke Peterson and Alta's Kemery Martin fight for a loose ball. 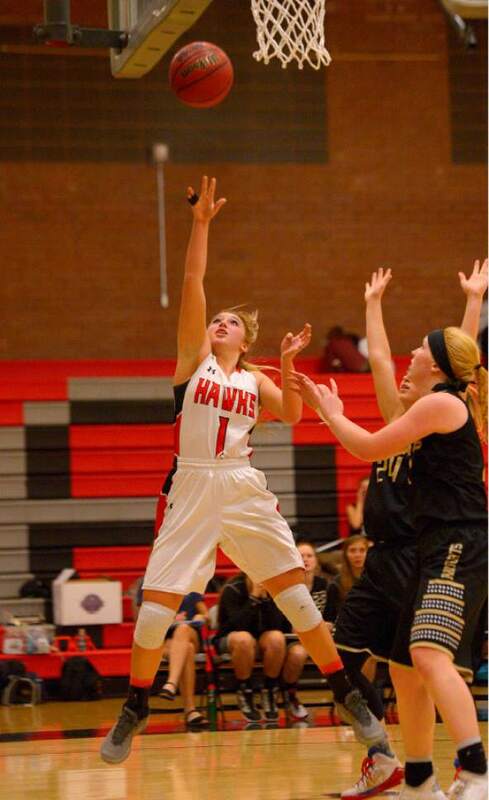 Alta High School girls basketball defeated Lone Peak High School, 79-47 Tuesday, December 8, 2015. 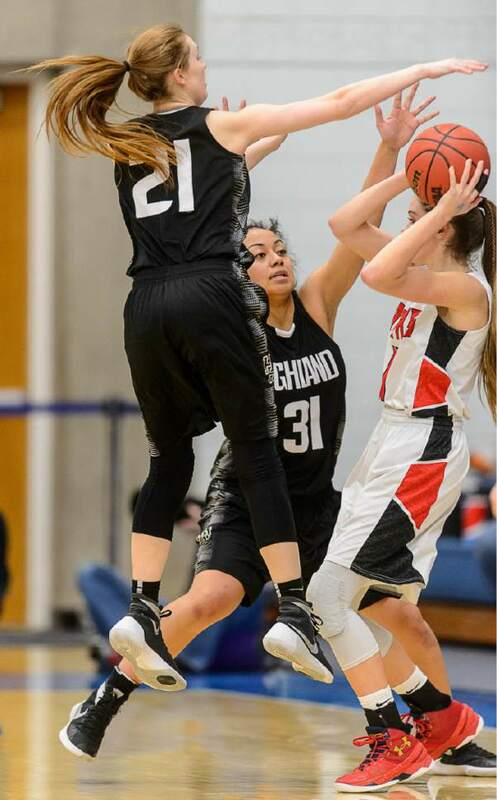 Steve Griffin | The Salt Lake Tribune Alta's Mariah Martin gets Highland's Alex Debow (21) into the air as she drives the ball during the Highland versus Alta girl's 4A quarter final game at Salt Lake Community College in Salt Lake City, Wednesday, February 24, 2016. 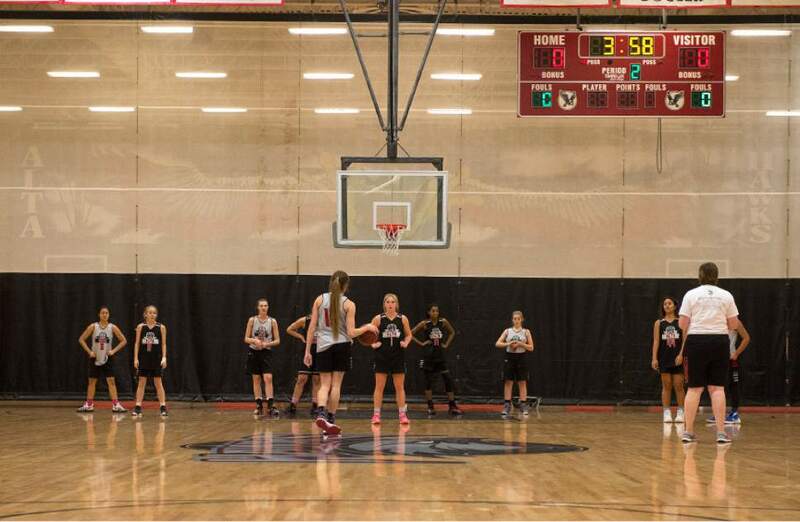 What the Martin sisters are doing at Alta these days is rare in girls&apos; basketball. Stopping several feet shy of the 3-point line and launching long-range bombs has become their signature move. 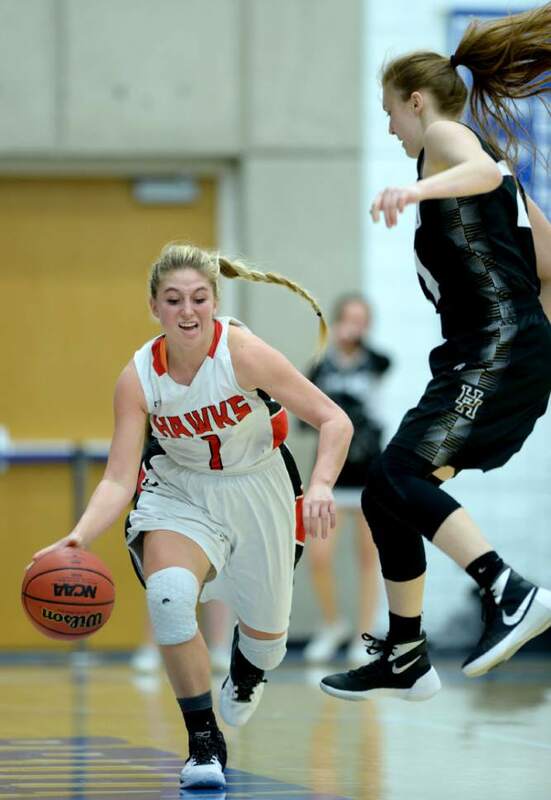 Izzy Gustafson didn&apos;t find it endearing when she became the Hawks&apos; coach last year. "But I just said &apos;whatever&apos; and let it go. When it goes in, it&apos;s great," Gustafson said. "But I do have confidence in both of them and confidence in all our team. There&apos;s just some things you&apos;ve got to maintain, and if it&apos;s not broken, why fix it?" Mariah Martin is a senior guard, while little sister Kemery Martin, who is a few inches taller at 5 foot 11, is a sophomore. The Martin (pronounced Mar-teen) siblings are the anchors for a Hawks team that is 16-1 this season. Both sisters are prone to pull the trigger from long distance, although Mariah says Kemery&apos;s range goes out farther. That willingness to shoot from almost anywhere over half court loosens up defenses that would rather pack into the lane. "Sometimes we force a lot of things," Mariah said. "But as the game gets more in the flow and we start hitting our shots, then we start seeing more things and it starts working out for us." The Martin girls are the oldest of Jeramie and Toni Martin&apos;s four children. Jeramie Martin enjoyed a noteworthy prep career himself. He was one of the standout players in 1993 for a Viewmont team that won that school&apos;s only boys&apos; state championship. Mariah, who has been playing since she was a freshman, often takes over the late stages of games, able to connect from all points of the court. That made it all the more unbelievable when Mariah missed a couple of free throws in the last seconds of a 50-49 loss to Springville in a Class 4A semifinal last year. "It was heartbreaking. What people don&apos;t realize is that Mariah played the entire game with a concussion," Jeramie Martin said. "She got hit in the first three minutes of the game. 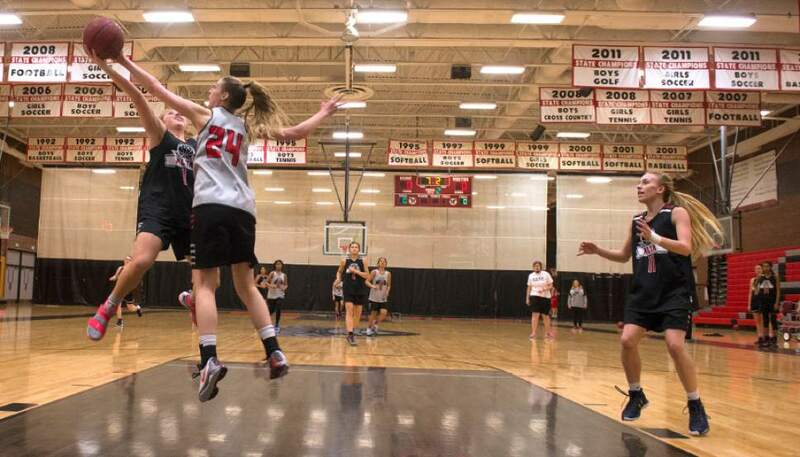 She told me, &apos;Dad, I was seeing three baskets.&apos; "
"It&apos;s kind of a blur to me," Mariah said. "I was not over it for a good month after the season. It keeps me motivated to keep working hard because state is the one thing I really want this year." The only blight on Alta&apos;s resume this season is a region home loss to Mountain View on Jan. 17. Both Utah women&apos;s coach Lynne Roberts and BYU women&apos;s coach Jeff Judkins were in the Hawks&apos; gym for that game. A major reason for that was Kemery Martin, who is being recruited by both. Kemery, with an average of 15.9 points per game, has surpassed Mariah (14.9 ppg) as the team&apos;s scoring leader, and her height and range make for a desirable combination in a college guard. But that&apos;s still more than two years off for Kemery. In the meantime, she and Mariah know that they&apos;re often the focal point for the opposition&apos;s defense. But their focus is on winning a state title before Mariah graduates and heads off to Dixie State to play. "We&apos;ve got to build up to that, and we need to fix the weaknesses in our team," Kemery said. "We want to get there, though, that&apos;s for sure. That&apos;s one of our top priorities.